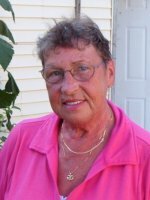 Nancy Lee (Sanford) Smith of Plainwell, Michigan, passed away Sunday, December 30, 2012, in Allegan. Nancy was born an identical twin with Diane Lynn Sanford on December 17, 1947 in Shelby, Michigan, to Robert and Evelyn (Grant) Sanford. In her youth she was a Camp Fire Girl and a member of Youth Fellowship in Holland and Shelby. She graduated from Shelby High School, where she met her husband, Gordon. Nancy attended Mercy Central School of Nursing, Grand Rapids Community College and Muskegon Business School, and received hospice training in Mason County. She had been employed with several nursing homes in the West Michigan area and her passion was with Hospice work. She was an active church member, most recently joining Peace Ev. Lutheran Church in Otsego. Nancy was always eager to help whenever she had the opportunity. 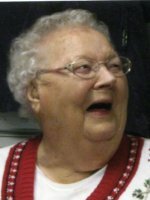 She and her husband enjoyed spending time with family, staying at family cottages and spent many hours in Pentwater water skiing and hydroplaning on Pentwater Lake. In her leisure time Nancy loved to bake, work on genealogy, cross stitch, spend time with friends and laugh. On August 11, 1967 in Shelby, MI she married Gordon Smith, who survives. Also surviving are 2 sons and a daughter, Christopher Smith of Eaton Rapids, Jennifer Barlow of Ashland, OH and Robert Smith of Kalamazoo; 7 grandchildren, Chris Roe, Hailey Smith, Nick Smith, Jacob Harper, Nevaeh Smith, Elijah Barlow and Gabriel Barlow; a special nephew, Sloane Williams; 2 brothers, Robert (Karen) Sanford and John (Betsy) Sanford; numerous aunts, uncles, nieces, nephews and cousins. She was preceded in death by her parents and her twin sister, Diane Sanford Sailor Davis. Cremation has taken place. A Memorial Service will be held at 11:00 A.M. Wednesday, January 9, 2013 at Peace Ev. Lutheran Church, Otsego, Pastors Jason Thiel and Josh Olson officiating. In lieu of flowers, contributions in memory of Nancy may be made to Wings of Hope Hospice. 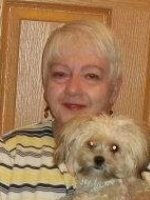 Rhonda Kay McGonagle, 62, of Tampa, Florida (formerly of Otsego, Michigan) went to be with our Savior, Jesus Christ, on December 21, 2012. She passed away unexpectedly, in Tampa, Florida, due to medical complications. She put up a courageous fight to the end. Rhonda was born November 20, 1950 in Plainwell, MI, the daughter of Charles ‘Homer’ and Nadene (Ladd) Shaffer. She was a 1968 graduate of Otsego High School where she was a cheerleader and gymnast. She worked at Time-Warner in Florida for 20 years. Rhonda loved to travel and her favorite destination was California. She also traveled to England & New York with her sister, Jackie Stineback. Rhonda always prioritized her family as number one in everything she did. She excelled at being a wife, mother, grandmother, sister, daughter, friend, counselor, employee and most important a woman of God. She’ll be remembered for her big smile when she was around her family and friends. As much as our flesh will miss her, spiritually we know she is pain free and with Jesus. She is survived by her husband, Pat McGonagle; a sister, Jackie (Gordon) Stineback; two children, Jodi (Maurice) Lelii, her son Scott (Brooke) Hinz; two nieces, Amie (Jesse)Proctor and Jamie (Josh) Jameson; eight grandchildren, Vincent Lelii, Gabrielle Lelii, Micheala Hinz, Ethan Hinz, Maya Hinz, Evan Hinz, Elliot Hinz, Edward Hinz; 4 great nieces, Macy Proctor, Kaylin Proctor, Allie Proctor, Jayden Jameson; 1 great nephew, Jerin Jameson, all of whom will miss her greatly and hold on to her memories forever. 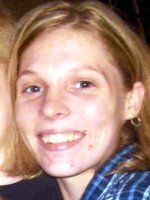 Rhonda was preceded in death by her parents in 2009; and her aunt, Jackie Ladd, in 2011. The service will be held on January 2, 2013 at 2:00 pm at The Winkel Funeral Home at 207 East Allegan Street, Otsego, MI 49078, Bill Rose, Celebrant. Contributions in memory of Rhonda may be made to Wings of Hope Hospice. A luncheon is planned at the V.F.W. Post #3030 following the service. We are planning a local memorial in Tampa, Florida. The date and location will be determined at a later date. David K. Drake of Pine Lake, Michigan, passed away Tuesday, December 25, 2012, at his home. Mr. Drake was born April 30, 1934 in Grand Rapids to Kent and Gertrude (Eby) Drake. For many years he was employed as a computer systems analyst with Ford Motor Company. Surviving are his wife, Penny; three children, Cathryn Drake of Athens, Greece, Stephen Drake of Kingman, AZ and Julia Strode of Champagne, IL; four step-children; 14 grandchildren; several great-grandchildren. Reatha L.Burkhead of Plainwell passed away Saturday, December 22, 2012 in Plainwell. Reatha was born February 23, 1928 in Gun Plain Twp., the daughter of James and Edna Jordon. Reatha was a wonderful mother and loved caring for her children and her home. Surviving are her children, Sandy Clark, Sue Edeus, Edna Elferink, Terry Burkhead, Tom Burkhead and Annie Tyler; many grandchildren and great grandchildren. Reatha was preceded in death by her husband George in 1990; daughter Linda Hart and 2 sons, George and Jim Burkhead. Friends may visit with the family from 10 to 11:00 A.M. Monday, December 24, 2012 at the Winkel Funeral Home, Otsego, where funeral services will be held at 11:00 A.M., Bill Rose, Celebrant officiating. Burial will follow at Mountain Home Cemetery, Otsego. Memorial donations may be made to the American Cancer Society. 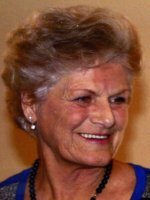 Jacqueline Ann ‘Jackie’ Perkins of Otsego, Michigan passed away Tuesday, December 18, 2012 in Kalamazoo. Jackie was born October 26, 1980 in Berrien Springs to Joseph and Katherine (Jones) Ott. Surviving are her husband, Trevor Perkins; her children, Logan and Mason; her mother and step-father, Kathy and John Graham of Otsego; her father, Joseph Ott of Sodus; her step-dad, Tino; a brother, Anthony Ott of Otsego; a sister, Sherry Ott of Charlotte, NC; and her niester, Paige Ott. She was preceded in death by her mother-in-law, Barbara Perkins. Cremation has taken place and a memorial service will be held at a later date. 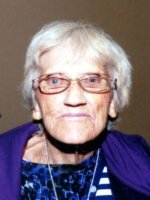 Harriet K. Hoyt of Allegan, MI passed away on Friday, December 7, 2012 in Kalamazoo. Harriet was born October 6, 1946 in Kalamazoo to Sheldon and Marie (Bosma) Stensland. Harriet had worked for Kal-Equip for a short time before starting with Perrigo in Allegan. After 27 years of service Harriet retired in 2006. 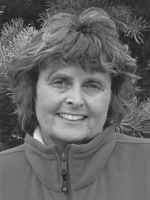 She enjoyed visiting casinos, knitting, scrapbooking, her cats, being outdoors near the pool in the summer months and working with horses in her earlier years. She had been active with the Otsego Moose Lodge #345, Allegan Eagles Aerie #2315 and the Delton V.F.W. Post #422. Harriet’s greatest joy was spending time with her family, especially her grandchildren. Surviving are her step-father, Al Tice; children, Leo (Kelli) Moyer of Gobles, Ray (Cathie) Moyer of Hopkins, Teresa (Mike) Botma of Pierson and Brian (Jill) Moyer of Sears; her companion of 16 years David Hendges; 14 grandchildren; 3 great-grandchildren with another due soon; siblings, Annie (Willie) Mansfield of Kendall, Ben (Evelyn) Klaassen of Gobles, Klaas (Sandy) Klaassen of Kalamazoo and Carol (Les) Johnson of Mendon; and by many nieces, nephews and cousins. She was preceded in death by her parents and by her sister Helen Stark. The family will receive friends on Wednesday, December 12, 2012 from 2-4 and from 6-8pm at the Winkel Funeral Home, Otsego where services will be held at 11 A.M. on Thursday. Burial will follow at Kendall Cemetery. Memorial contributions in memory of Harriet may be made to Wings of Hope Hospice. 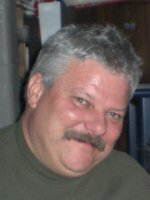 Steven C. “Steve” Stevenson of Otsego, Michigan, passed away Sunday, December 2, 2012 in Nassau County, NY, where he was assisting in recovery efforts following Hurricane Sandy. Steve was born September 8, 1960 in Plainwell to Thomas Neal and Paula Louise (Griffith) Stevenson, Sr. He was a 1978 graduate of Otsego High School, where he was on the swim team and in the band, and then earned his Bachelor’s Degree from Davenport University in 1985. Once he received his Paramedic certification he worked for Mall City Ambulance in Kalamazoo, Community EMS in Farmington MI, returning to Plainwell with Plainwell Ambulance Corp. in 1986. Later that year he began working for AMR- American Medical Response in Plainwell. He was currently employed as operations supervisor with AMR, transferring to Grand Rapids with AMR when the company moved in 2003. Steve began his career as an Otsego Firefighter in 1988 serving as Captain since 2000. While on the Otsego Fire Department serving as an instructor for the Allegan County Fire Academy, Steve watched many young men and women grow into great firefighters and touched the lives of many citizens. A man of many accomplishments, Steve was instrumental in designing the current Ladder Truck and Fire Engine. He also is credited with beginning the medical response program in Otsego. He was involved with Allegan County Emergency Management as a Local Emergency Planning Specialist and worked ski patrol at Bittersweet Ski Area. As a young man he was involved in theater and musicals, a passion he has passed on to his daughter. In his leisure time he enjoyed fishing, gardening and hunting. He especially enjoyed being a dad and spending time with his daughter. On a ranch north of Las Vegas he married Karen Lynn Carnell-Stevenson, who survives. Also surviving are his daughter, Chelsea; four brothers, Thomas Jr. (Carol) Stevenson of CO, Terry Stevenson of Plainwell, Scott (Linda) Stevenson and Kris (Maggie) Stevenson, both of Otsego; aunts and an uncle; several special nieces and nephews. Steve’s family will receive friends from 2 to 4 and 6 to 8 P.M. Tuesday at the Winkel Funeral Home, Otsego. Funeral Services will be held at 3:30 P.M. Wednesday at St. Margaret’s Catholic Church, Otsego, celebrant Timothy Secord officiating. Cremation will follow. Contributions in memory of Steve may be made to the Otsego Fire Department.